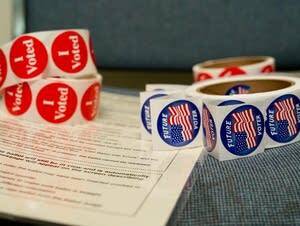 Complete coverage of the 2018 midterm elections from MPR News reporters, NPR and the Associated Press. Wondering how many votes the various statewide and congressional candidates received in your neighborhood in the 2018 elections? 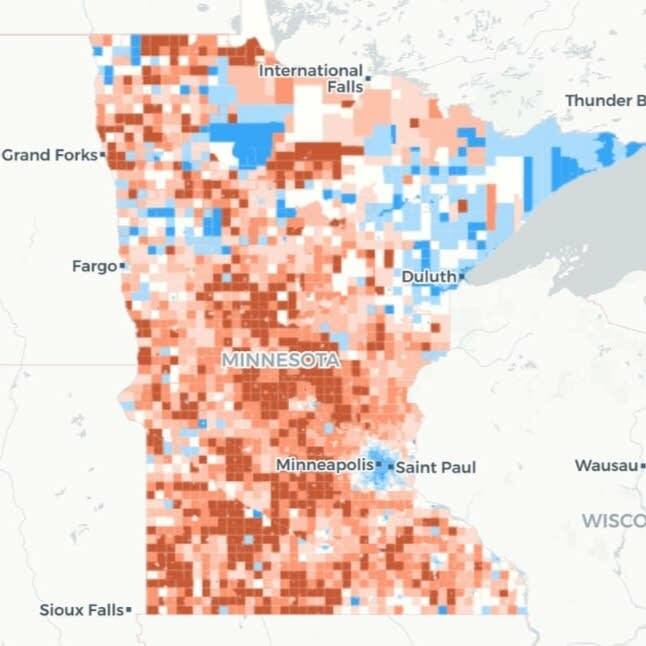 Try this MPR News mapping tool that lets you search vote totals by precinct in Minnesota's major races. 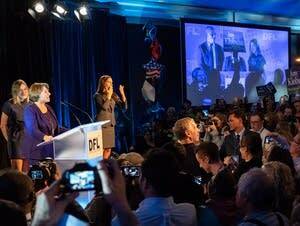 Good night for DFLers:	But was it a blue wave? 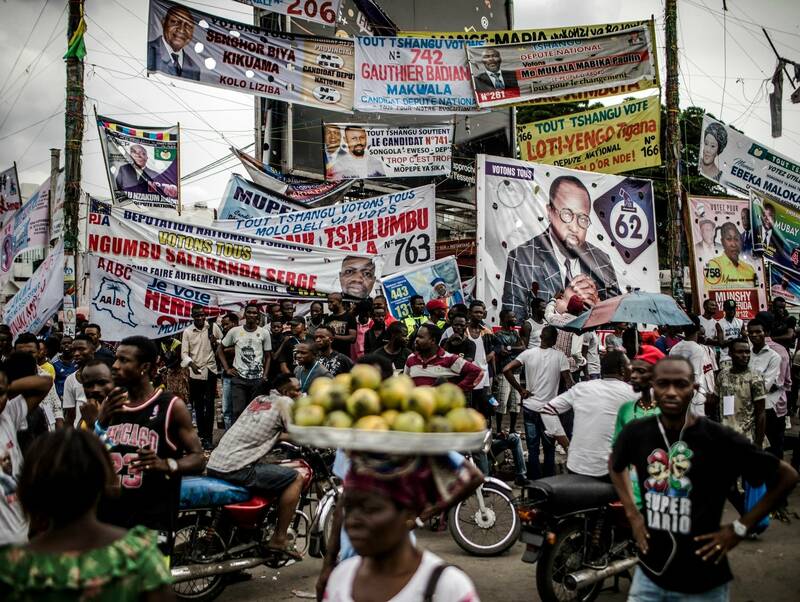 Congo's top archbishop on Saturday urged peace on the eve of the country's long-delayed presidential election, saying differences of opinion are no reason to "light the country on fire." The original count in the north-central district had Persell leading Republican incumbent Matt Bliss by just eight votes. 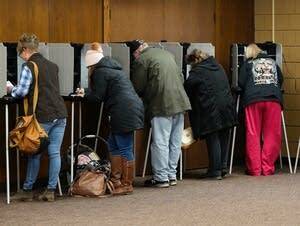 Minnesota had its highest percentage turnout in a non-presidential election since 2002. These metro areas saw the most dramatic turnarounds in this election from red to blue -- and were responsible for Democrats taking back the House. 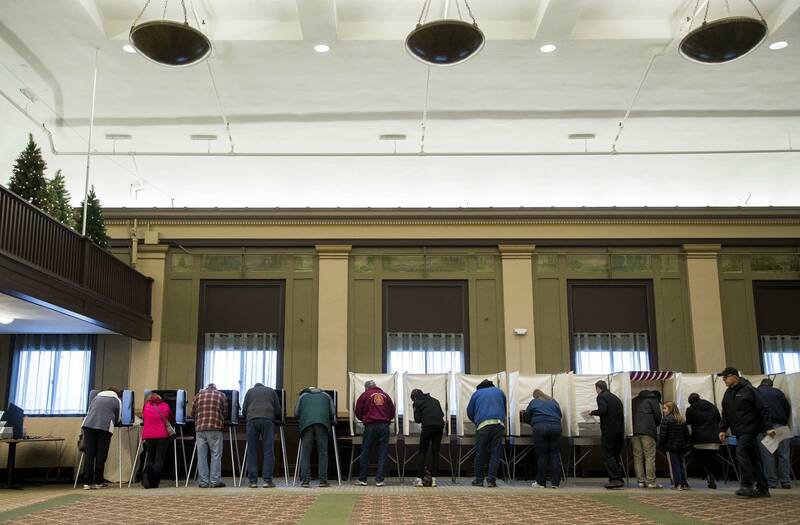 A quirky Minnesota law calls for municipal elections to be decided "by lot" in case of a tie. 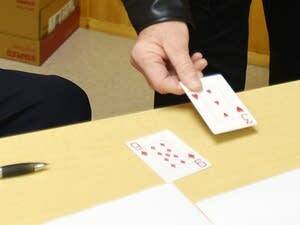 In the hamlet of Manhattan Beach, the mayoral race came down to a high card draw. 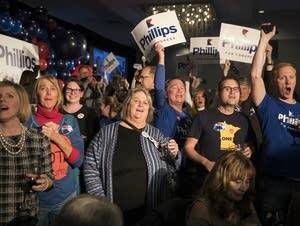 DFL won Twin Cities suburbs. But is it a shift or a blip? 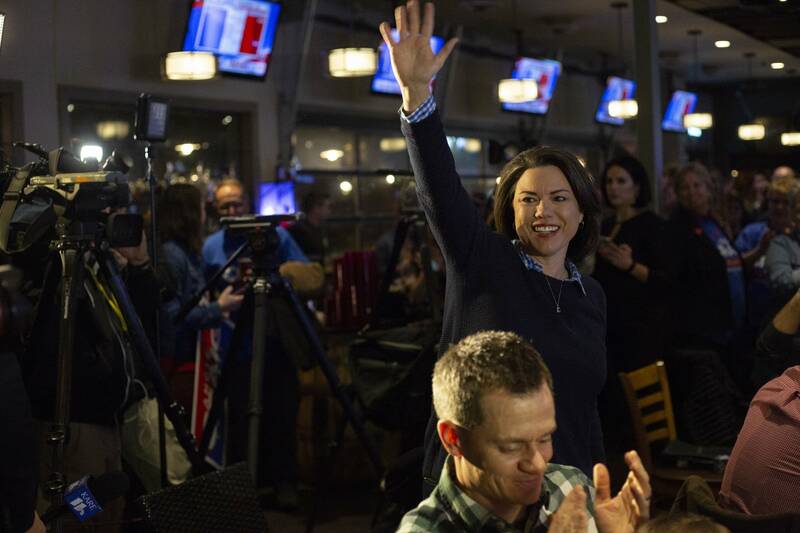 A Democratic wave in the Twin Cities suburbs led to the defeats of two incumbent GOP U.S. House members and helped shift control of the state House back to the DFL. Is it permanent? 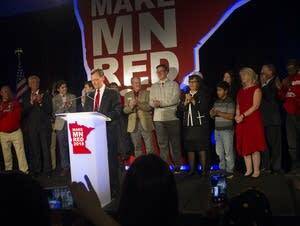 Minnesota is in the national political spotlight in 2018, as voters will decide the state's next governor, senators and Congressional seats. Mark your calendars so you don't miss key dates. Two candidates who vocally supported pausing the resettlement of refugees in St. Cloud lost their City Council bids last week yet still received considerable voter support, a strong signal that the issue remains unsettled. 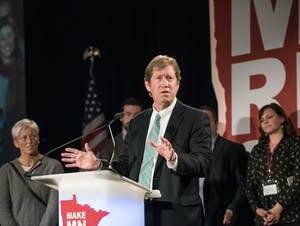 Republicans lost the House because of McCain's Senate vote against repealing the Affordable Care Act, Minnesota U.S. Rep. Jason Lewis wrote Sunday. Reaction from McCain's family and supporters was swift and angry. The next Congress is going to be missing some familiar faces. Thanks to a mix of retirements and defeats on Tuesday, some high-profile lawmakers will soon be exiting Capitol Hill. 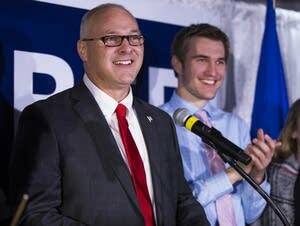 Pete Stauber's convincing victory in Minnesota's 8th district was just the latest step in a trend that's been building for the past decade, as rural voters increasingly vote Republican. Until this week the district had voted Democratic every election except one over the past 70 years. Pundits and operatives in both parties stopped short of saying a blue tidal wave came crashing down on Minnesota Republicans in the 2018 midterm. Florida remains the most important state for Trump in his re-election, and Republicans are just barely hanging on in big races. 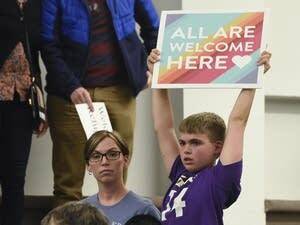 Democratic gains in Rust Belt states could spell trouble. 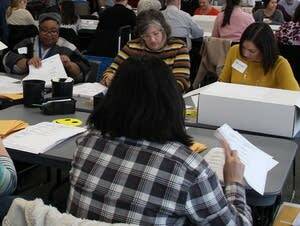 Close calls: What triggers a vote recount in Minnesota? Several candidates in Tuesday's midterms won by thin margins, but that doesn't automatically trigger another tally. 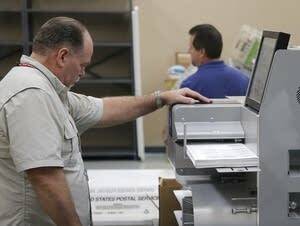 Here's a look at what Minnesota says about recounting votes, and who pays. 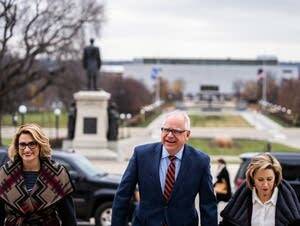 DFL Governor and lieutenant governor-elect Tim Walz and Peggy Flanagan said they will start hiring staff, vetting commissioners and crafting their budget priorities.